We stay. We put up. We whine and complain but we remain in a familiar environment because it is all we know. Several years ago, in the midst of leaving an eighteen year old relationship I had to decide if I wanted to continue being Rapunzel on a gorgeous tower were I was a prisoner or come out into the world leaving those wealthy possessions behind. Even Rapunzel had a hard time leaving what she knew. It’s never easy to walk on faith. It’s pretty daunting moving through the unknown. After witnessing the embezzling of my business and how I was being financially cheated (both professionally and personally) I took the road less traveled. I dispersed my grown children…making sure they had their own places and I took the youngest ones. My family and friends were shocked to see how I dismantled a comfortable and wealthy life in no time once I decided to leave the tower of convenience and presumption. As children we live our happy worlds based on fairy tales. And, to some point life can be a fairy tale. We have the ability to create all that we want but we must first allow the Universe to teach us the difference between what we “think” we want and what our “purpose” really is for this life. We do not teach our children that, yes, Cinderella did end up with the prince in a castle but the castle has a mortgage and expenses. We don’t teach them that in all those fairy tales there is the aspect of good and evil (our light vs. darkness both psychologically and spiritually). As girls we grow up believing that there will be a Prince Charming coming to save us, but be careful because He may come with a lot of addictions and baggage that won’t fit in the largest of castles. We stay. We put up with those things that society has forced us to place higher than ourselves: money, comfort, and social standards. We also conform to careers we can’t stand, places we dislike living in, and toxic friendships. I can assure you that disentangling any life of familiarity is never easy. As much as we complain about our circumstances sometimes remaining is a lot more uncomplicated than leaving. And, if you are in an abusive relationship, where your Ego believes that you deserve nothing better, it is even harder to detach from what you know and move to the unknown. I have created my own fairy tales. I am no longer Cinderella or Rapunzel. I am not Snow White and my seven dwarfs. I am no longer Frozen in my old life. I am also not a Mermaid stuck without a voice on land. I am manifesting a journey full of those things that matter: love, friendships, travels, compassion, grace, and integrity. Teaching our children to create their own fairy tales is important. We can show them examples by the way we move through our own journeys. My Prince Charming didn’t show up on a white horse. He walked in with a black Great Dane name Titan and enough humor to allow me to be me for the first time ever. I have witnessed the ability of strength and pride through my own expeditions. They have not been comfortable. They have broken me at times, and mended me beyond any happy endings I could have ever imagined. Don’t stay for the sake of familiarity. Move through the unknown and let faith guide you. I promise that on the other side of fear lives the freedom you have dreamed through the old voices of fairy tales. You own your path and your destination through however you feel fit to create them. It’s a matter of consciously shifting your perception from the reality you have accepted to be real. Bravery comes through grace and allowing Spirit to guide us through the storm. It’s all about redefining fairy tale. And how I love this new way of living. It is truly a dream come true. Thanks for the beautiful analogy. And thank YOU for taking the journey with me and always forcing me to look out into the “unknown.” I love you. Wonderful. Very inspirational. I love all of the fairy tale archetypes you used! Brilliantly written. And mostly, it’s not a fairy tale but a reality tale that can be shared and known. What courage indeed. And what grace, to live a life like this, without the image painted up and held up to stare at from a world not quite like anything on that screen. So well said Millie!!! And powerfully lived. Aw! We are mirrors of each other, dear sweetness. Thank you for the kindness. Sending a warm hug your way on this cold winter morning…. 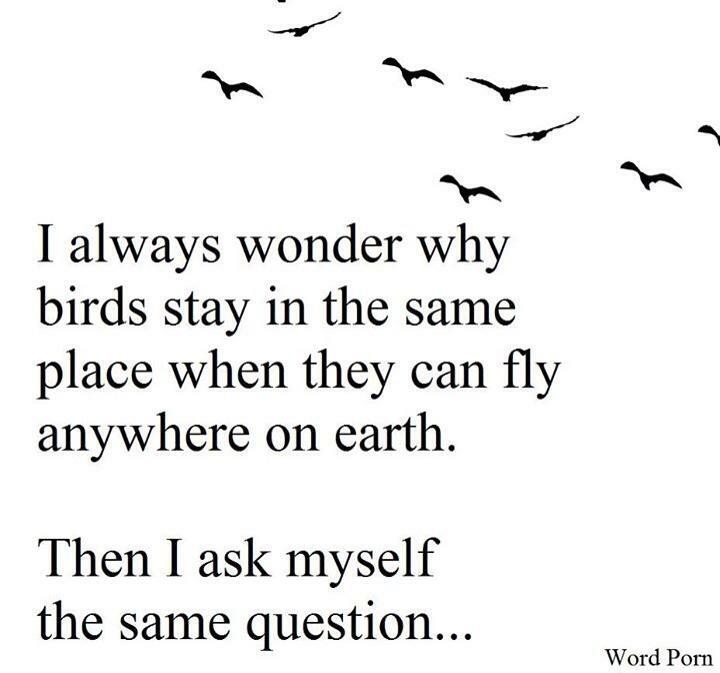 Sometimes I ask myself that same question. And if I didn’t have the dogs to take care of, the answer may have taken me on a different path. But no regrets. I chose — and still choose — to remain in the same place because all in all it’s not that bad. Even if my “Prince Charming” is a toad at times. Learning to stand on our own two feet and making our own path to follow. Leaving fear behind and taking confidence along. I wasn’t in a castle but I gave up one prison for another but I going to find the key to be free. As you know…on the other side of Fear lives Freedom. You are not alone. I believe our biggest enemies are our minds. I hope and pray you find the key to free yourself from this prison…may you roam endlessly throughout the world without any restrictions. Mucho love to you, dear one! I’m currently struggling with the decision of taking that first step away from the familiar and expected. Your post speaks of hope. Oh wow! I am so glad that divine wisdom spoke to you through these words…amazing how messages come to us. I am so happy that you are on the edge of change and transformation. You are brave! Keep moving forward. Mucho love to you. Insightful words for me at a difficult time.